You’re now a big church. You’ve poured your heart and soul into the people and the place, the church and the community. The service projects, carnivals, car shows, car washes, neighborhood walk-throughs, mission trips, Easter egg hunts, and “harvest festivals” are too many too count. It might be easy to kick back and relax, to feel like you’ve “arrived.” But nothing could be farther from the truth for Teays Valley Church of God in Scott Depot, West Virginia. 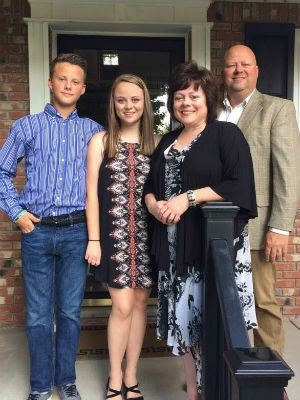 Nine years have passed since Melissa Pratt became the senior pastor, and though attendance has jumped almost 500 percent and the number of first-time decisions for Christ is approaching 300, she’s not stopping to stare at the scenery. Don’t misunderstand—Teays Valley knows how to celebrate what the Lord has done like few other churches do. But until all of Putnam County experiences the transforming power of Jesus Christ, it’s full steam ahead. Her zeal for Christ and her love for Putnam County is no secret. In 2013, Pastor Melissa walked 68.8 miles from end of the county to the other, getting to know her neighbors and their needs. The community has come to recognize the church she pastors as a vital contributor to its welfare. There’s a level of trust that the church has earned over the years as it has become a hub of hope in the hills northwest of Charleston. Heartbeat of the Valley is just one example—a ministry that outgrew its original home at the church—and currently serves thirty-five young women who have become mothers as teens. From parental training classes to providing transportation to medical appointments, the ministry has a presence at all four high schools in the county. Photo: Melissa and Thom Pratt with their children. Before revival broke out at Teays Valley and things really got going, long before Melissa Pratt had ever set foot in Scott Depot, West Virginia, God was preparing the soil. Some years may have felt like showers of blessing were constant, but there were times of difficult drought, too. 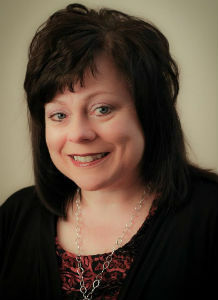 Melissa Senseman Pratt accepted the call to vocational ministry at the North American Convention of the Church of God in 1987. Though she imagined herself in a traveling music ministry, God had other plans. Nine years into worship ministry at Dayspring Church of God in Cincinnati, Ohio, she heard an unmistakable call to preach. Now she looks back at pastors like Tim Kufeldt and Mitchell Burch who believed in her potential in those early days, allowing her practical experience in the pulpit. Working alongside these veteran ministers afforded her the right combination of experience to deal with the challenges and maximize the blessings of visionary, relational pastoral leadership. 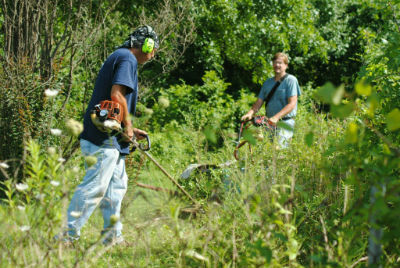 Photo: Teays Valley volunteers clean up neighborhood yards. Sure, there were hurdles. Many churches wouldn’t even look at her résumé because of her gender. To get a little farther down the road, she and Thom began promoting themselves as a ministry duo. But when search committees discovered Melissa would be doing the preaching, discussion came to a halt. Even today there are occasions when visitors to the church mistakenly conclude Thom to be the pastor until Melissa steps to the pulpit. But Pastor Melissa doesn’t live there. She’s preoccupied. She’s preoccupied with leading a thriving congregation of Christ-centered disciples into an exciting new season of global impact. 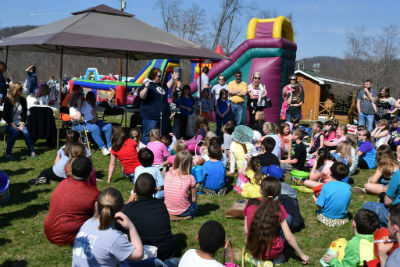 The upward trajectory of attendance at Teays Valley, which saw more than 700 people at Easter this year, will become the primary hurdle if the congregation remains in its current building. Thankfully, when Melissa and Thom came to the church in 2007, roughly seventy-five acres of land already belonged to the church. Plans are underway and funds are being raised for the 3.6 million-dollar facility that will once again accommodate the entire under one roof. God is working miracles, and funds have turned up in a variety of surprising ways. But when the impressive new facility is complete, it will once again be tempting to feel that the church has “arrived.” Rest assured, this is only the beginning. Please pray for Teays Valley Church of God, that the congregation continues to stand side by side in the fight of faith. We look forward to watching God work in the coming years! This entry was posted in All Church of God, Northeast and tagged church growth, church health, expansion, Melissa Pratt, new construction, outreach, salvation, Scott Depot, Teays Valley Church of God, Thom Pratt, turnaround, West Virginia. Bookmark the permalink.